As one of the most popular tourist destinations in the Ozark region, Branson not only offers great shopping but it is also in this place where you can find an array of specialty restaurants such as Mexican, Italian, Japanese, and more. Pasta restaurants in Branson are some of the most favorite dining spots often visited by local and tourists as many of these restaurants serve the best pasta dishes in town. With awesome attractions in Branson such as the picturesque rolling hills of the Ozark mountain and a range of exciting attractions, it is no wonder that Branson is a favorite tourist destination. Your vacation experience in this entertainment capital of the world will be more enjoyable if you check out some of the exciting activities, great performances of world-class entertainers, interesting museums, theme parks, and a fine dining at some of the best pasta restaurants in Branson. These pasta restaurants in Branson serve the best Italian dishes in town that include Branson’s new Italian restaurant, La Piazza; Pasghetti’s, another brand new family-owned and locally operated Italian restaurant; Florentina's Ristorante Italiano; Olive Garden; and Pizza Hut. As one of the best Italian restaurants in Branson, La Piazza offers an array of authentic Italian dishes and a full service bar. The restaurant offers great appetizer, a fascinating Happy Hour, and a variety of wines to pair with your meal. The great ambiance of La Piazza is the reason why many Branson local residents and visitors stop by for dinner or just for a drink in the bar. This restaurant offers the best Italian cuisine in town where you can savor gourmet quality dishes made with the freshest ingredients that will surely satisfy your craving for the most authentic Italian taste. If you are looking for a unique Italian restaurant in Branson, Pasghettis is the place to go. This Italian restaurant features themed dining rooms throughout the restaurant. This beautiful dining place serves a variety of delicious Italian favorites such as their signature Pasghetti and Meatball plate. This family-friendly restaurant is quickly becoming all time favorites of the locals and visitors alike. Be sure not to miss the Ferriswheel as well as a game room for the kids. Florentina’s Restorante Italiano in Branson is another beautiful Italian restaurant located at Green Mountain Drive where you can dine with family and friends to enjoy Italian traditions of tasty food and great hospitality. Another Italian restaurant located at 76 Country Boulevard is Olive Restaurant where you can enjoy shrimp scampi fritta (classic or spicy), ravioli di Portobello, strawberry-passion fruit limonata, and pumpkin cheesecake. At Branson Hills Parkway, you will find Pizza Hut that serves cheese sticks, cinnamon sticks, p’zone pizza, honey bbq, tuscani meaty marinara, buffalo mild, and super supreme pizza. 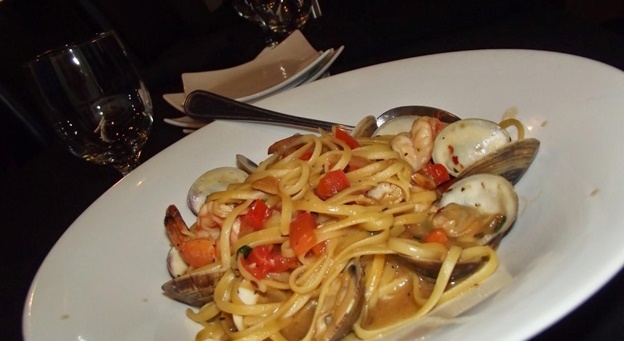 So, if you are having a wonderful vacation in the Ozarks, don’t miss to visit some of the best pasta restaurants in Branson where you can satisfy your craving for authentic pasta that will have you coming back for more.